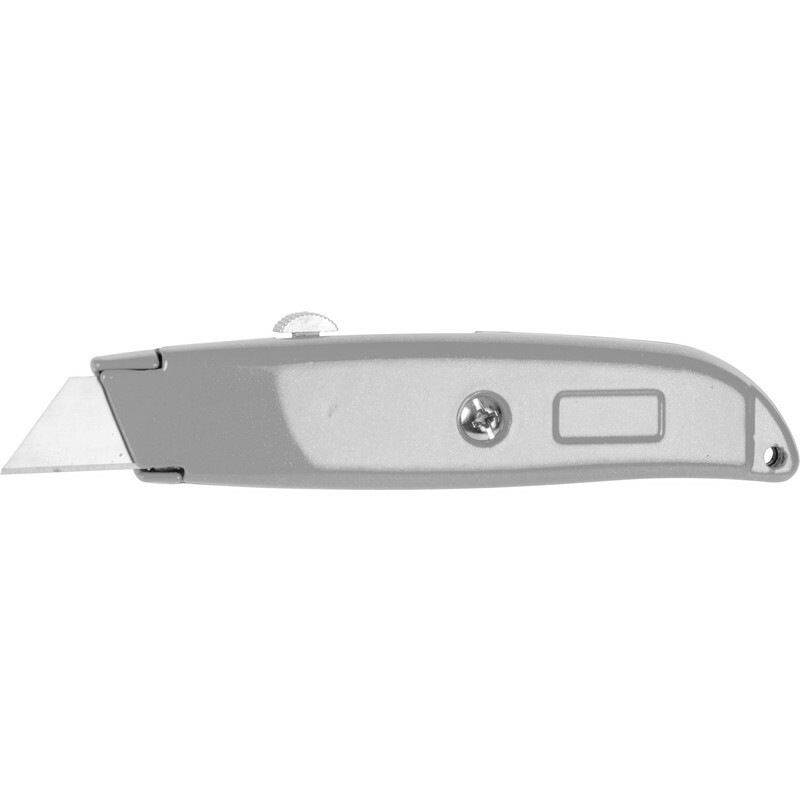 Retractable knife with internal blade storage. Retractable Knife is rated 3.2 out of 5 by 9. Rated 5 out of 5 by Anonymous from Great value Nice and light at a use and throw away price. Rated 1 out of 5 by Anonn from Item not as described The picture showed a silver knife which is what I required. The knives that were delivered were blue. I was told that they had changed their supplier but not updated the picture. I was told that there would be a collection charge but this was dropped. Rated 1 out of 5 by Umski from Mechanism stuck after first use Cheap, not cheerful, but useful to have for occasional use - or so I thought until the mechanism got stuck in the body after the first use. Not so useful after all. I'll have to take it apart to check why it's stuck. In hindsight, a fixed blade or slightly more reputable branded knife would have been better. Rated 2 out of 5 by woodworker from Cheap and basic For the money the knife does what it should do. If you need to use this type of knife on a regular basis pay more and buy a different one.